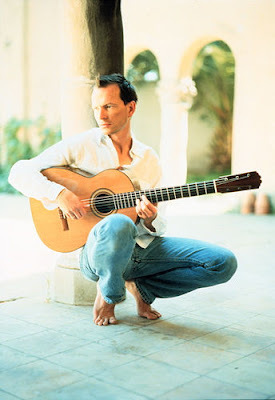 Today's song is "Barcelona Nights" from Ottmar Liebert. A friend on Twitter recommended this beautiful Spanish acoustic music. omg this is cool i love spanish acoustic music. theres a spanish restaurant called Sevillas over here where they have hot guys playing spanish music with their cool guitars all night long lol. Reminds me of my spanish teacher in high school, he played us the guitara and would also sing and play flamenco videos also.